The Gujarat High Court has asked the state government pleader to obtain details of the “follow up action” taken, pursuant to the directions of the Supreme Court for ending the despicable practice of manual scavenging, including manual cleaning of gutters, and reveal what it has done for implementing it in Gujarat by the next hearing scheduled for December 7, 2016. The High Court order follows a writ petition filed by Manav Garima Trust (MGT), an Ahmedabad-based NGO, working among the Valmiki community, to ensure that the Gujarat government honours the apex court direction, which considered manhole workers entering into gutters without proper equipment as manual scavengers. 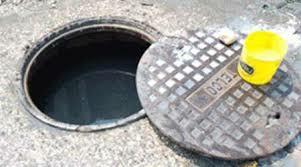 “(a) Sewer deaths-entering sewer illness without safety gears should be made a crime even in emergency situations. For each such death, compensation of Rs.10 lakhs should be given to the family of the deceased. “(b) Railways – should take time bound strategy to end manual scavenging on the tracks. “(c) Persons released from manual scavenging should not have to cross hurdles to receive what is their legitimate due under the law. “(d) Provide support for dignified livelihood to safai karamchari women in accordance with their choice of livelihood schemes. Quoting Hirak P Ganguly, counsel of the petitioner, the High Court said, he had said, May 19, 2014 submitted to Principal Secretary, Department of Social Justice and Empowerment, Government of Gujarat, a list of workers who had died during sewerage work of manholes, septic tank, etc. MGT is of the view that the state government has refused to implement the Supreme Court order of March 27, 2014, which had asked all states to pay Rs 10 lakh compensation to manhole workers, who died due to asphyxiation after 1993. According to MGT, there more than 170 manhole workers have died while cleaning drainage in Gujarat since 1993. While MGT has represented state government to implement the 2013 law banning manual scavenging, and award compensation, several times over, it says, the government has not taken any action.